The Selangor state museum was established in 1887 and was the second museum after Taiping Museum in Perak to be established in Malaysia. However, when Kuala Lumpur was declared a Federal Territory in the year 1974, the museum was handed over to the Federal Government to be functioned as the National Museum. 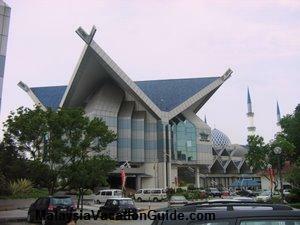 The current National Museum is located in Kuala Lumpur and is one of the main attractions in the city of Kuala Lumpur. The Minangkabau-shaped building that houses the Selangor State Museum and Selangor State Library. On 2 September 1989, the Selangor Museum was inaugurated by Sultan Salahuddin Abdul Aziz Shah Al-Haj and was named Sultan Alam Shah Museum in honour of the 6th Sultan of Selangor, Sultan Sir Hishamuddin Alam Shah Al-Haj Ibni Almarhum Sultan Ala'eddin Suleiman Shah. There are a few galleries that are on permanent display at the Sultan Alam Shah Museum. The History Gallery shows how the people of long ago live, the tools that they used as well as the clothing that they wore. It helps to remind the current generation how their forefathers used to live and learnt to appreciate the rich heritage that they have. It was also believed that the name Selangor was taken from the name of the river called Sungai Selangor in the 18th century. 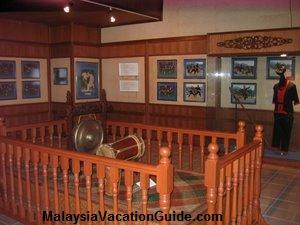 The Cultural Gallery shows the customs of the Malays in the state. It showed in detailed the rituals that are being practised in regards to the birth, the marriage and the death of the people. 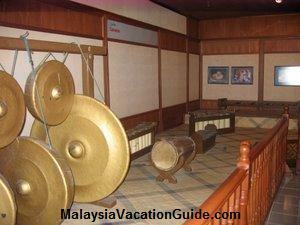 Musical instruments on display here include the "Gendang Sembilan" and "Cempuling". The traditional Malay musical instrument on display. Another traditional Malay musical instrument at the Cultural Gallery section. The Islamic Gallery shows the history of Islam in Selangor. Various artefacts which include the Quran and other literatures are on display here. Models of famous mosques which include Shah Alam Mosque in Selangor and from around the world are also on display. The Natural History Gallery shows Selangor's natural heritage in the form of an open diorama. Diorama is a life-size display that represents a scene from nature or a historical event using stuffed wildlife, wax figures or real objects. Among the diorama on exhibit is the famous "Buaya Puchong" or Puchong Crocodile which was the biggest crocodile to be found in Peninsular Malaysia. 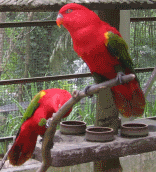 Various butterflies, fishes, snakes and other animals that are found in the country are also shown here. 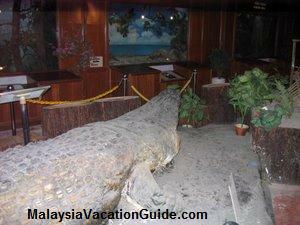 The diorama of the biggest crocodile found in Peninsular Malaysia. 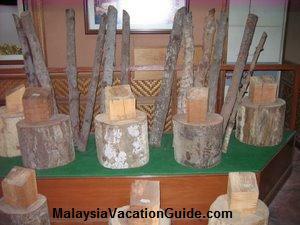 The wood that is found in the rich natural rain forest of Malaysia. Take RapidKL bus number 63 or 338 from Kuala Lumpur and stop at the bus station near Maybank building in Shah Alam city centre. From here, take a 5 minutes walk and you will be able to see the distinctive building in the vicinity. The other way is to take the KTM Komuter train and disembark at Shah Alam Station. From here, take a taxi and you will reach the museum in approximately 10 minutes.